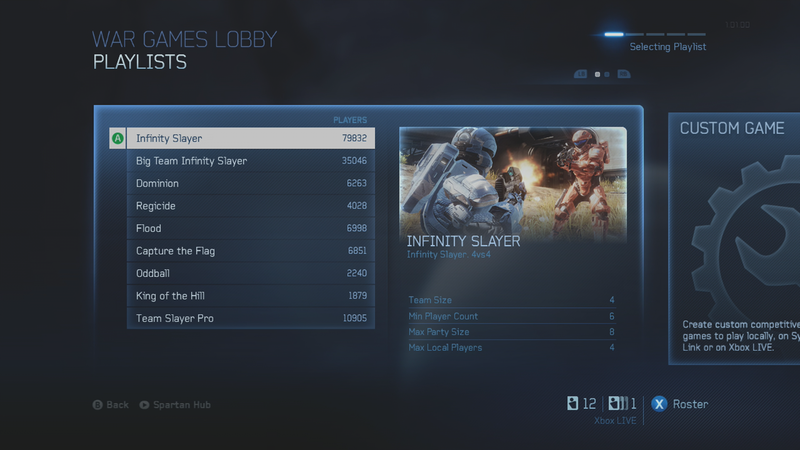 As many of you are aware, the number of players online player Halo 4 has been on the decline. A popular image has been floating around the inter-webs demonstrating that there is in fact an elephant in the room… or lack there of. 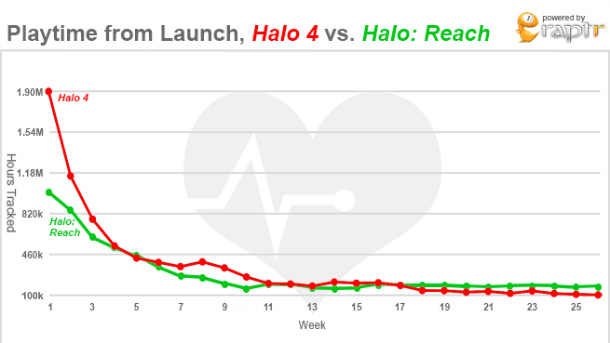 Shown by this image, Halo Reach was pulling higher numbers this point in it’s video game life cycle than Halo 4. Which is a little disheartening and begs the question what does 343 Industries have to do for Halo 5 and beyond? Here’s also a screenshot of the Halo 4 playlists and numbers shortly after the midnight release November 6th PST/PDT for comparison. Thoughts on what 343 Industries needs to do?